Austrian Society of Gynaecology and Obstetrics (OEGGG) has released its consensus statement on management of conception,pregnancy and lactation in women after Bariatric Surgery. Bariatric surgery is recommended when other weight loss interventions, such as lifestyle modification or medications, have failed. A considerable number of women undergoing bariatric surgery are of childbearing age; hence, it is necessary to be aware of the effects of bariatric surgery on pregnancy for managing these patients. 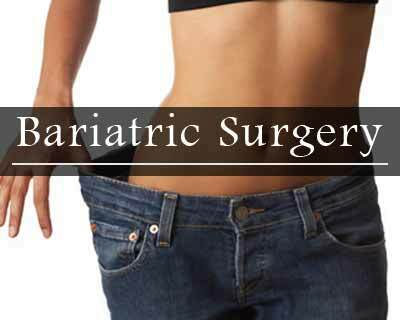 Although bariatric surgery is associated with positive effects on cardiovascular and metabolic parameters, side effects such as anaemia, the risk of developing internal hernia, altered glucose metabolism and the risk of small for gestational age offspring have to be considered. Pregnant women with a history of gastric bypass should not undergo the oral glucose tolerance test (OGTT) due to the high risk of hypoglycaemia. There are no contraindications for vaginal delivery and breastfeeding. Preconceptional counselling: The patient should be informed by an experienced obstetrician about the possible complications of pregnancy following gastric bypass (increased risk of foetal growth restriction, malnutrition, dumping syndrome, unreliability of the OGTT in diagnosing gestational diabetes, internal hernia, premature delivery). Patients who do not wish to have a child must be apprised of the reduced efficacy of oral contraceptives. Obesity is often associated with hyperandrogenemia and polycystic ovary syndrome (PCOS). Follicle growth and oocyte maturation are impaired by the compensatory hyperinsulinaemia and often increased insulin resistance secondary to PCOS, resulting in reduced fertility. Hence, even young women who are overweight must often rely on assisted reproductive technologies (ART) to fulfil their desire for a child. Obesity is thus considered a risk factor for a lower number of eggs and embryos of poorer quality, accompanied by decreased rates of pregnancy and live birth. Weight loss surgery appears to have a positive effect on hyperandrogenaemia in most female patients, and spontaneous conception has been achieved in up to 58% of infertile women following surgery. Patients having undergone ART before and after bariatric surgery were found to have an increased number of eggs, better egg quality, and higher live birth rates during postoperative treatment cycles. Patients who do not wish to have children must be informed that the efficacy of oral contraceptives could be reduced as a result of the operation (especially in the case of malabsorptive procedures) and that parenteral dosage forms or non-hormonal methods should be considered in the choice of a suitable contraceptive method.